This is a clear polish filled with tons of shiny silvery peach and smoky blue bar glitters. There seems to be two types of glitters, thin bar glitters and slightly wider bar glitters. 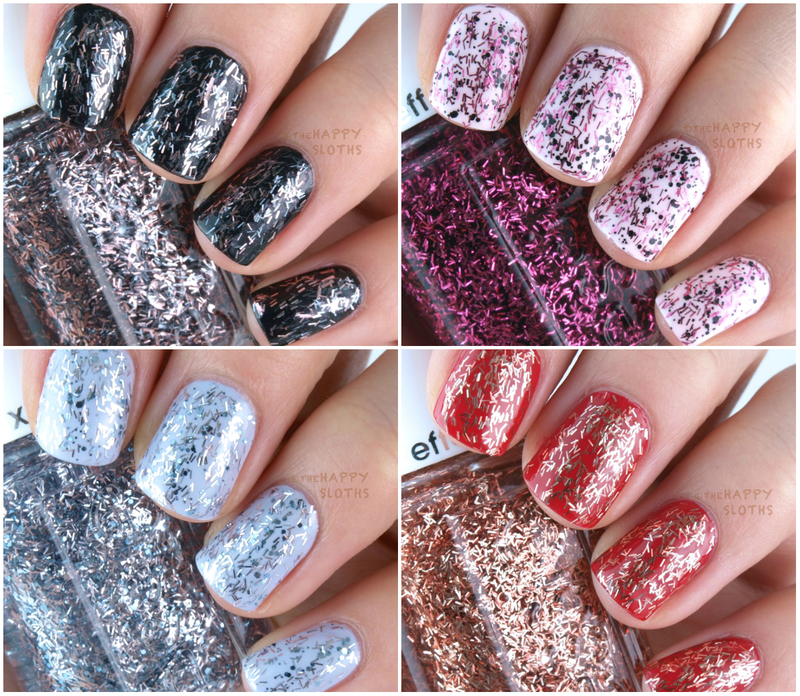 The polish is packed with glitters so there is no glitter-fishing invovled. I used one to two coats over "Haute Tub" from the Winter 2015 Collection. One to two coats of "Finge Factor" over "Haute Tub" with no top coat. This is a bar glitter and hex glitter combination. The bar glitters are shiny hot pink and the black hex glitters come in two different sizes. 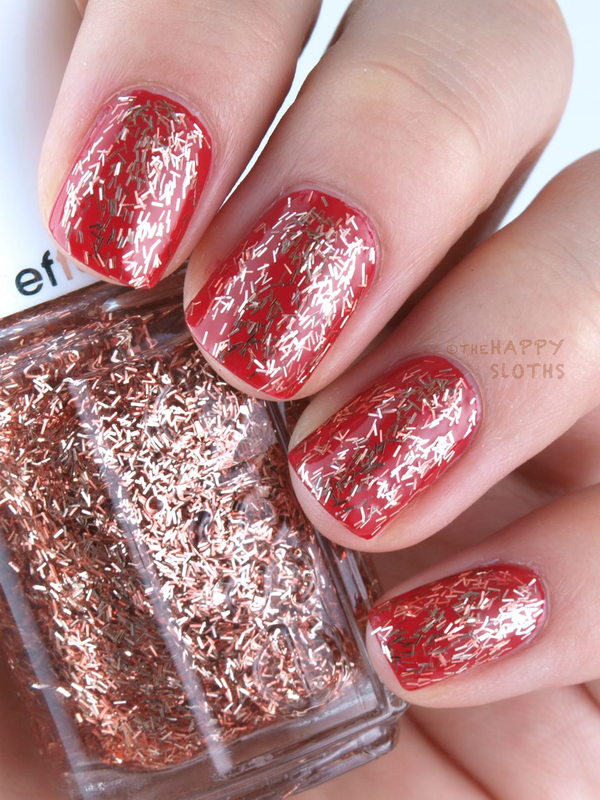 This one has a more sparse distribution of glitters so I used two coats over "Peak Show". Two coats of "Fashion Flares" over "Peak Show" with no top coat. Oh what a name! Frilling Me Softly is a shiny silver bar glitter with small and extra-small shiny blue hexagon glitters. I used one coat over each nail but I had to fill in a few uneven patches so the glitter is nice and even. One to two coats of "Frilling Me Softly" over "Virgin Snow" with no top coat. This is a gold and copper bar glitter polish. Out of the four, this Tassel Shaker has the most amount of glitters. I used one coat over "Altitude Attitude" from the Winter 2015 Collection. One coat of "Tassel Shaker" over "Altitude Attitude" with no top coat. The Essie Luxe Effects Collection is available in stores now.